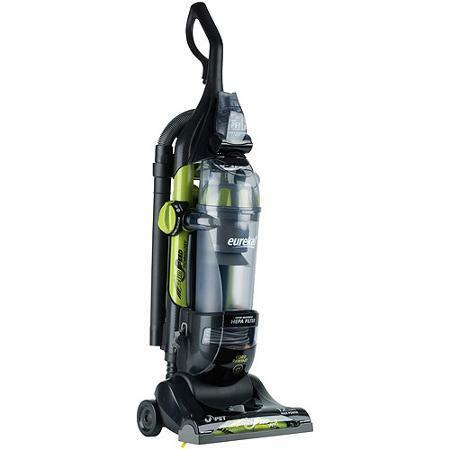 Eureka AirSpeed Rewind Pet Bagless Upright Vacuum Only $79! You are here: Home / Great Deals / Eureka AirSpeed Rewind Pet Bagless Upright Vacuum Only $79! Walmart has a terrific deal for you! Pick up the Eureka AirSpeed Rewind Pet Bagless Upright Vacuum for Only $79! Buy online and pickup in store for FREE! Or get Value Shipping for FREE! The Eureka AirSpeed Rewind Pet Bagless Vacuum, AS1041A features an exclusive AirSpeed technology that moves more air and removes more dirt for a deeper clean on carpets and has an Arm and Hammer Odor Adsorbing HEPA filter.